It was just over three years ago when I first visited Cheeky Greek over at Grange. Amazed at how good their food was, I always knew owners, Tracey Barnes and Tony Yialas, were going to do well. Lead by the popularity and success of their Grange location, it was no surprise that a Henley Beach store was open. Taking over two tenancies, the store is even bigger holding nearly three times as many people. The menu itself largely remains the same with the addition of bowls and a new salad. We start off with the Pan Fried Saganaki which comes as a very generous serving. 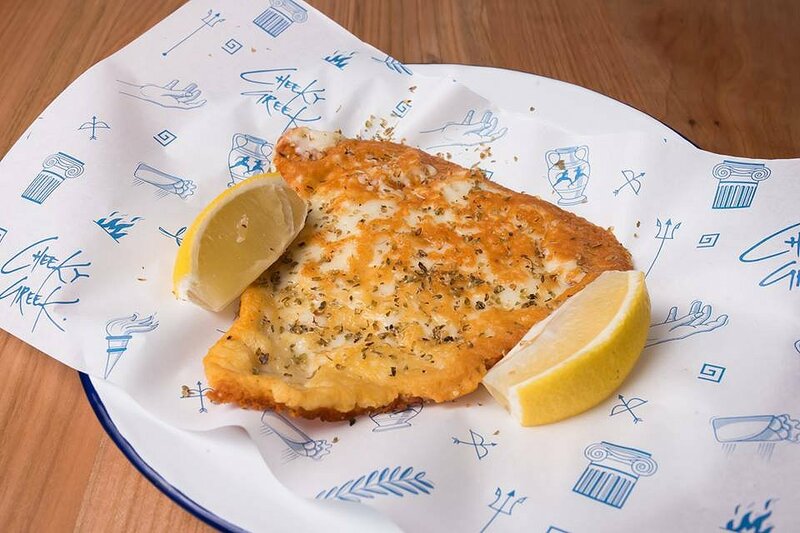 A crispy fried crust surrounds melted creamy halloumi in the centre. On its own, it is salty, but a squeeze of lemon gives it extra tanginess and cuts through the oiliness of the dish. Next were All Dips and Pita, with a serving of Mixed Olives. 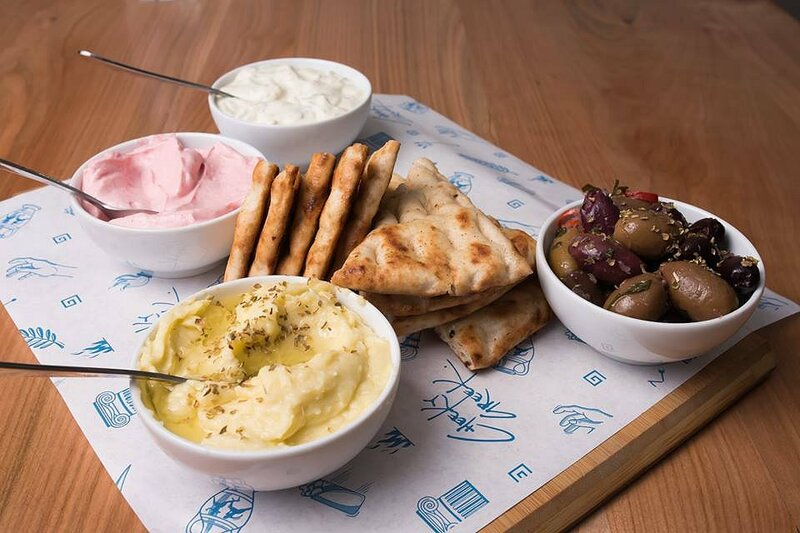 Served with lightly grilled fluffy pita bread, customers have the choice of Tzatziki, Scordalia and Taramasalata (or in our case, all three). The Tzatziki is made from yoghurt, garlic, salt, olive oil and lemon juice. It thick and garlicky, which is just the way we like it. The Scordalia consists of pureed potatoes, garlic, walnuts and almonds. Again, there is more garlic goodness which is what we love about Greek food. The Taramasalata is a mixture of cured cod roe, potato, olive oil and lemon juice. The flavours were more subtle in this dip, but delicious nonetheless. A visit wouldn’t be the same without ordering a serve of their Cheeky Chips. Topped with feta, garlic oil and oregano, it is truly a delicious combination. The chips were fried to golden brown and were perfectly crisp. The crumbled feta was salty and a great substitute for salt on chips. Subtle notes of garlic and hints of oregano take these chips to the next level. 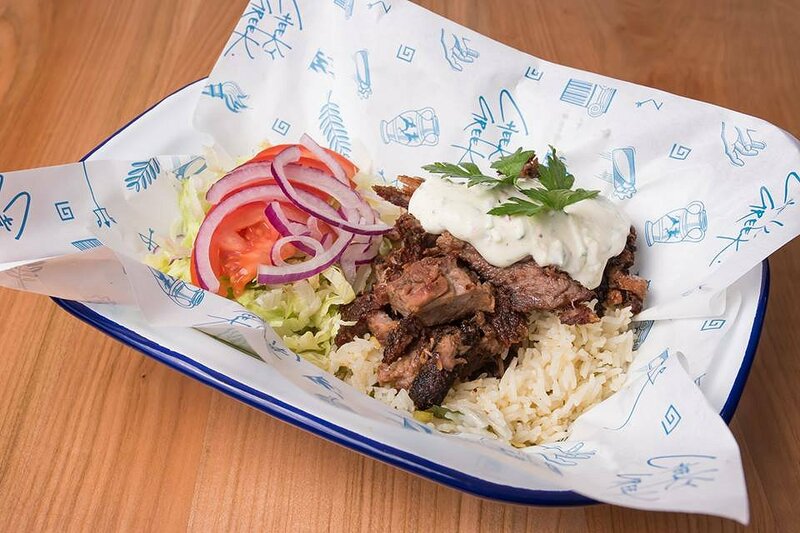 Going for something more substantial, we went for the Traditional Lamb Bowl with rice. Think deconstructed yiros in a bowl. In this case, remove the pita bread and add rice. The star of the show here is their marinated chargrilled lamb; crispy on the outside, and tender and succulent in the middle. The meat is marinated to perfection with lovely charcoal flavours throughout. Add your obligatory salads and tzatziki sauce, and it’s just like eating a yiros. It would be wrong to come here without ordering a Greek Salad. The salad is colourful and always looks good in photos. The fresh tomatoes, red onion and cucumber were fresh and crisp. 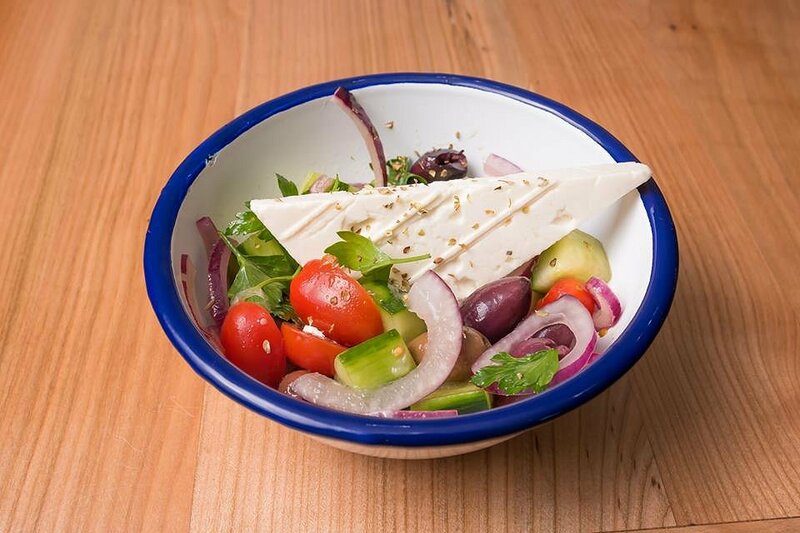 Add some olives and feta, and you have the classic ingredients for a Greek salad. The dressing was made from olive oil, vinegar and lemon, with just the right amount applied. 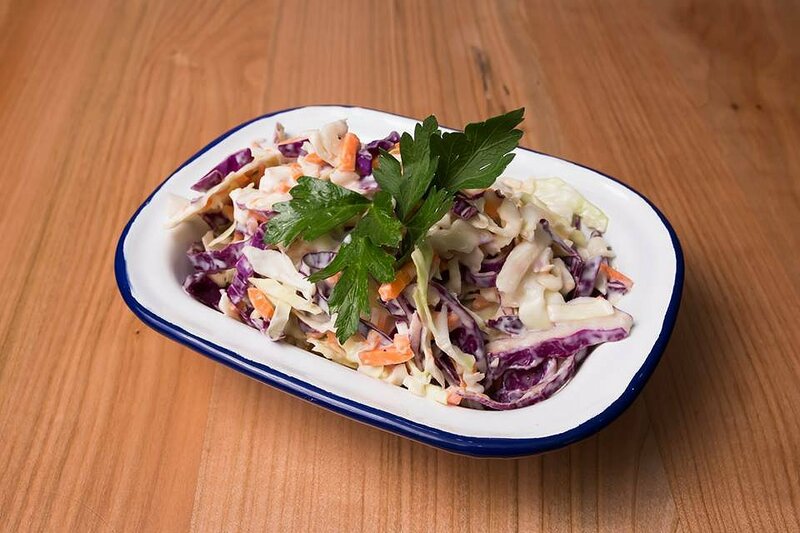 Last, but not least, was the Island Slaw with shredded cabbage and carrot, with honey and mustard dressing. We loved the crunchy texture of the vegetables which was smothered in a sweet and creamy dressing. 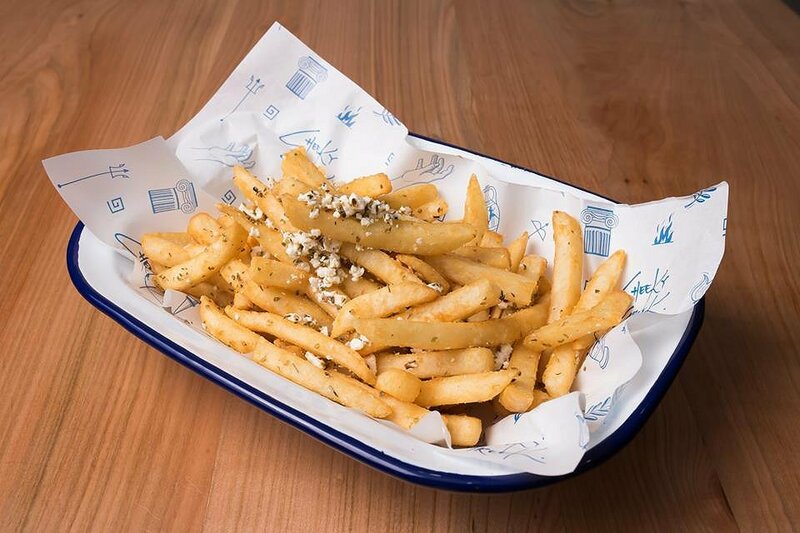 The Cheeky Greek is a welcome addition to the popular, up and coming beachside suburb of Henley Beach. The delicious food, ample space and close proximity to the beach are all good reasons to visit!